If you're new here, I'm a cozy girl for life. If you've been with me for a while, you feel me, right? I'm pretty sure we're on the same page. 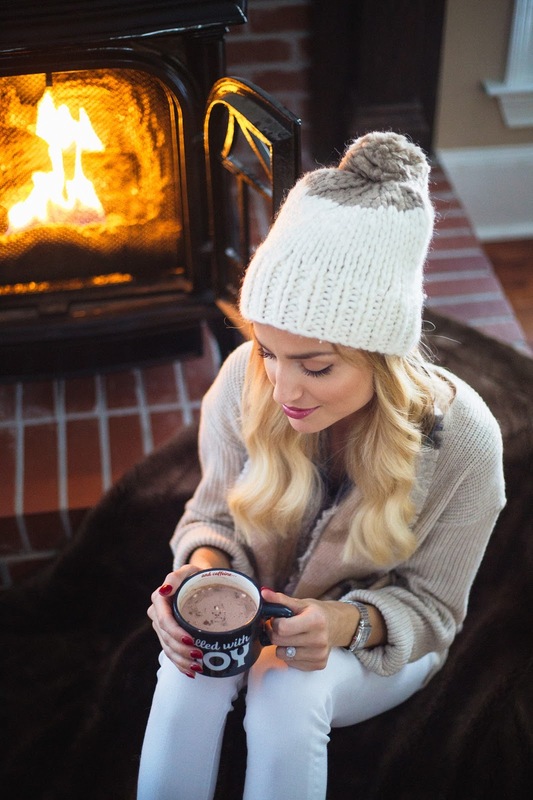 I think my favorite part of Christmas and the colder weather, is the fact that I can get even more cozy. At home, I wear slippers everyday. Even if we didn't have tile throughout, I would still wear them daily! It's to the point now that I feel naked when I don't wear them. 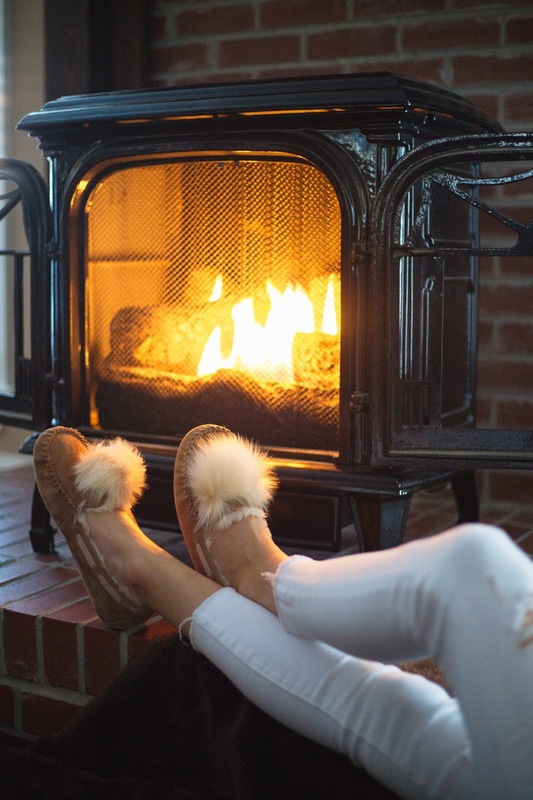 Typically, I'll purchase a cheaper pair a couple times throughout the year because I've worn them down, but I saw this adorable pair from UGG and saw the bottoms and immediately knew they would last me a long time. 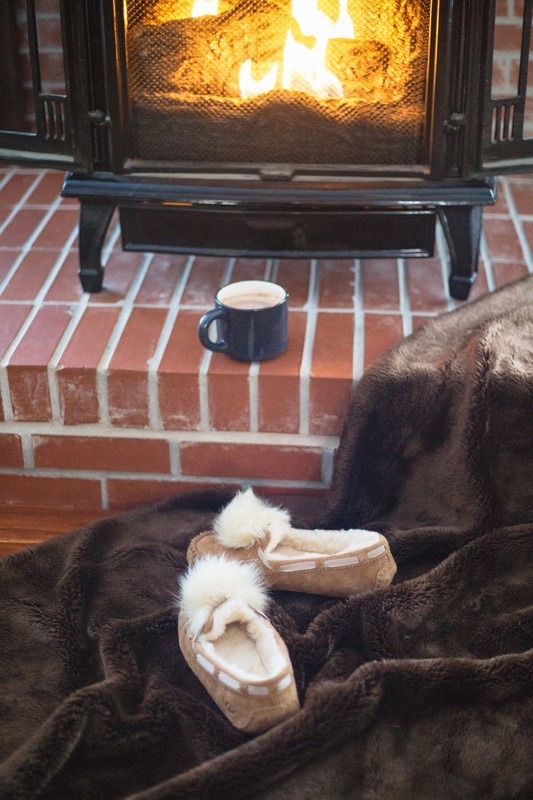 Not only are they super cute and cozy, they are durable. Yes, girl... YES! I know it's a little early for some of you to start thinking about Christmas, but in my recent poll I was shocked that SO many of you are ready and don't mind Holiday content and ideas this early. See, I knew we could be best friends in real life. Christmas to me is a huge deal. You all know that I typically start early with my tree, because I like to enjoy this season as long as I possibly can. For now, I'll start with gift ideas. What woman do you know that wouldn't be elated to get a pair of these under the tree? If you ask me, give me something cozy that I will actually wear and use! Bloomingdales has the cutest selection of winter accessories, so you know I couldn't pass up ordering this pom knit beanie and scarf. I'm actually headed over to Bloomingdales today to spend my $50 BMoney. You guys, I am not paid to tell you how much I love shopping here. Yes, I am beyond grateful that I get to partner with such an amazing brand, but you know I'm always honest with you. I have never shopped anywhere that rewards customers like Bloomingdales does. That's just my 2 cents! Anyways, I hope you all have had an amazing week so far! As always, thank you for reading! Love y'all!